The Samajwadi Party was leading in the Gorakhpur and Phulpur by-polls late in the morning. The counting of votes for the Lok Sabha by-election 2018 for the two Assembly constituencies of Uttar Pradesh — Gorakhpur and Phulpur — and Bihar’s Jahanabad and Bhabua, besides the Araria Lok Sabha seat in Bihar, commenced on Wednesday amid tight security arrangements. The results are expected to be declared by Thursday afternoon, according to an Election Commission official. Meanwhile, the initial counting of votes today showed that the BJP-led NDA was leading in the Araria Lok Sabha and Jahanabad and Bhabua Assembly by-elections in Bihar. The candidates of the Grand Alliance of RJD, Congress and HAM were trailing in all three seats. The voter turnout was 47.45 per cent in Gorakhpur and 37.39 per cent in Phulpur in Sunday’s polling. Ten candidates were in the fray from Gorakhpur, while 22 candidates contested from Phulpur. According to the Election Commission, there are 1.96 million (19.61 lakh) voters in Phulpur parliamentary constituency, while the Gorakhpur Lok Sabha seat has a 1.95 million (19.49 lakh) electorate. Uttar Pradesh by-polls 2018 were necessitated after Chief Minister Yogi Adityanath and Deputy Chief Minister Keshav Prasad Maurya vacated the Gorakhpur and Phulpur Lok Sabha seats, respectively, following their election to the state legislative council. Fifty-seven per cent polling was registered in Araria, Bihar’s Chief Electoral Officer Ajay V Nayak said. 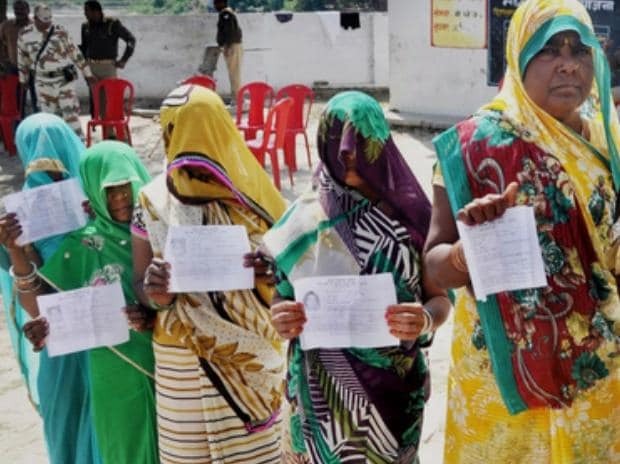 In the Bhabua and Jehanabad Assembly constituencies in Bihar, where by-polls were also held, the voter turnout was 54.03 per cent and 50.06 per cent respectively, he said. Bihar by-polls 2018 for the Araria seat was necessitated by the death of RJD MP Mohd Taslimuddin.